Next Generation Birders Official Blog: Volunteering - Ben Porter: catching Crab Plovers, avoiding ants and ringing zombies in Kenya! Volunteering - Ben Porter: catching Crab Plovers, avoiding ants and ringing zombies in Kenya! A short way inland from the Watamu Peninsula is the Arabuko Sokoke Forest. Some 420 square kilometres in size, this mix of ancient coastal forest is home to the most threatened inhabitants of the area. It is the largest stretch of coastal dry forest remaining in East Africa, and so it is perhaps no surprise that six globally-threatened species depend on the forest, namely the Sokoke Scops Owl, Sokoke Pipit, Amani Sunbird, Clarke’s Weaver (Endemic to the forest), East Coast Akalat and Spotted Ground Thrush. On top of these, over 260 species have been recorded within the confines of the forest, including such superb birds as the Narina Trogon, Gorgeous Bush-shrike, Fischer’s Turaco, BÖhm’s Spinetail, Black-and-white Casqued Hornbill and Blue-mantled Crested-flycatcher to name but a few. The forest is surrounded by a seven-foot high electric wire fence to prevent the African Elephants from within the forest roaming onto the nearby agricultural land. 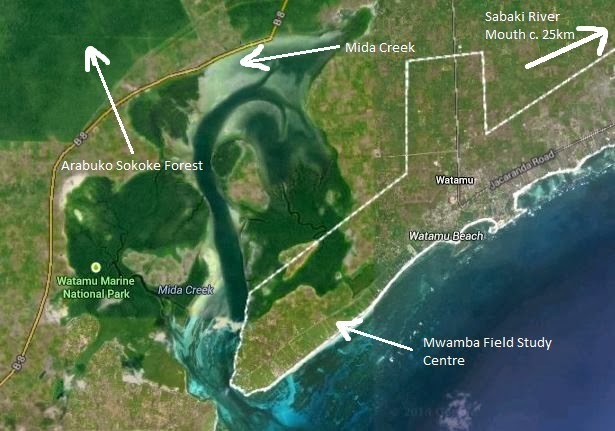 To the West of Watamu is Mida Creek: a tidal inlet which serves as an incredibly important feeding site for thousands of migratory and resident waders. Designated a UNESCO Biosphere reserve, shorebird numbers can frequently reach over 6000 here. Obviously, the star of the show is the magnificent Crab Plover, which gathers here in reasonable numbers. As well as these pied wonders, Neararctic waders arrive from August to May, with hundreds of Greater and Lesser Sand Plovers, Terek Sandpipers, Curlew Sandpipers and Little Stints frequenting the rich mud flats. A little further North along the coast from Watamu is the Sabaki River Mouth. This large river delta is created by the dissipation of Kenya’s second longest river (the 390km-long Sabaki River). The delta itself contains a diversity of different habitats, ranging from the thick squelching ‘Sabaki mud’ at the river’s edge to areas of rough grassland, scattered trees and small pools (during the long rains season- April to June). The shorebirds that frequent the mud flats are similar in species composition to that found at Mida Creek. However, the numbers can be somewhat more impressive, and a few added species such as Madagascar Pratincoles (or ‘Mad Prats’), Broad-billed Sandpipers and White-fronted Plovers add to the mix. Combined with the waders, there are plenty more besides: Pink-backed Pelicans, White-faced Whistling-ducks, Yellow-billed Storks, African Spoonbills, Greater Crested Terns and Caspian Trens are regular visitors. A small hill on the entrance road to Mwamba is an ideal place to scan over the distant palm plantation for African Palm Swifts, Black Kites, Bee-eaters and passing migrants. A short walk to the left from here takes you past a series of drive-ways, lined with a mix of undergrowth and taller trees (including Baobabs). Driveways lined with dense vegetation can produce some great birds if you are patient. For example, birding regularly along here produced Narina Trogon (which I missed! ), Trumpeter Hornbills, Yellowbills, Lizard Buzzards, Lilac-breasted Roller, Grey-headed Bush-shrikes and an Ayre’s Hawk-eagle. A little further along the road is a small lake. This can attract small numbers of waders at high tide, including Little Stints, Curlew Sandpipers and Ringed Plovers, not to mention the usual Three-banded Plovers. Overhead, hirundines such as Wire-tailed Swallows, Ethiopian Swallows and Lesser-striped Swallows chatter away. Ringing is a key aspect of A Rocha Kenya’s work in the Kilifi County. This is carried out largely in a small wooded area immediately beside the centre. This ‘Nature Trail’ holds about 13 mist nets, which are opened in the early morning every two weeks or so. 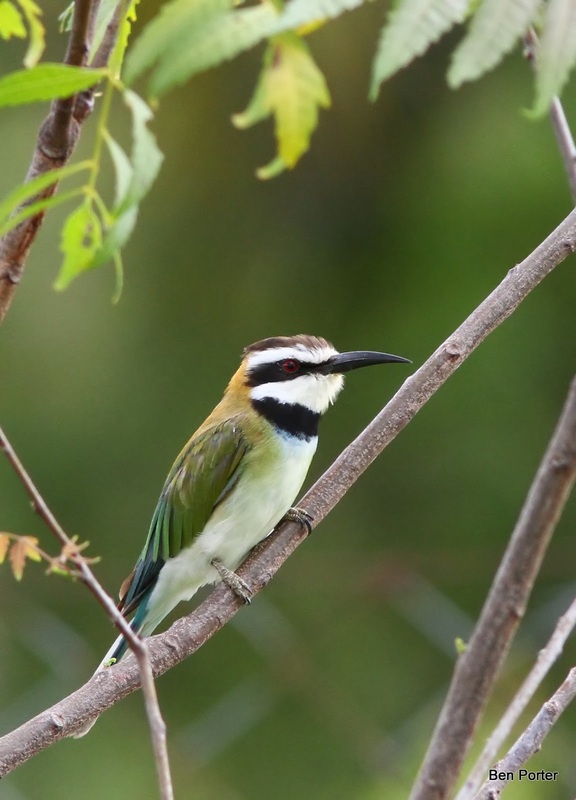 Providing conditions are favourable, and that Syke’s Monkeys are not on the prowl for prey, ringing sessions are likely to result in interesting species such as Zanzibar Sombre Greenbuls (Zombies), Grey-backed Camaropteras and Olive Sunbirds amongst the more common residents. Occasionally, a Mangrove Kingfisher, Red-capped Robin-chat, Little Sparrowhawk or Bearded Scrub-robin may delight ringers by turning up in the nets. So, how can you experience this awesome selection of fauna which is on offer? Besides staying as a guest at the Mwamba Centre (see here), you can also take part as a volunteer. Voluntary work can be specific to the individuals visiting- some Marine volunteers were doing their own work for their respective Universities (through Internships), investigating Ghost Crab populations with shoreline transects, or studying a specific Coral such as Anomestria. I myself was there on the basis of photography: taking pictures of the wildlife in the surrounding area, as well as of the daily goings on at Mwamba, and the projects which they are carrying out in the neighbouring areas. They could then use these images on their website, for centre promotion locally, or for advertising the centre. 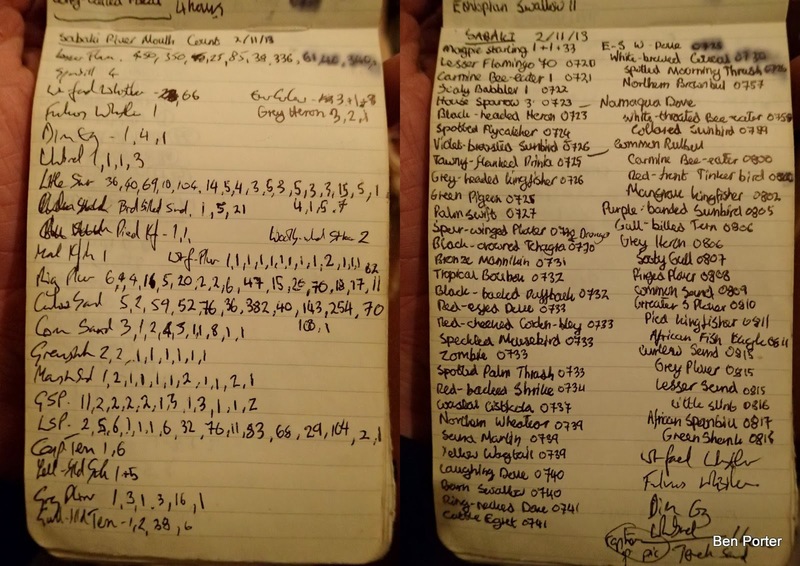 Living on a small rock off the welsh coast (Bardsey Island) throughout the year, Ben doesn’t really have much choice to be anything but a patch birder! He is currently in his last year of A levels. He enjoys all aspects of Birding, and is a keen wildlife photographer, lepidopterist, and trainee bird ringer.